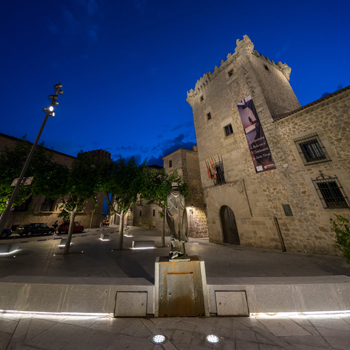 Ávila’s new nightscape is a project to upgrade all the existing street lighting in the urban area to have both a functional and ornamental purpose. 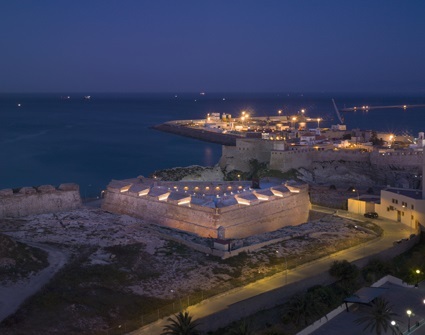 The new lighting plan reinforces the city’s outstanding cultural values while being infused with the philosophy of conservation that has given the city such a proud heritage. The lighting masterplan for Avila is based in a new lighting philosophy that takes into consideration four areas: functional, architectural, commercial and festive lighting. The lighting design was done by AUREOLIGHTING. 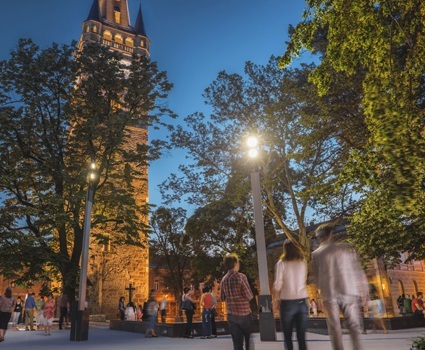 This lighting masterplan covered the renovation of 41 existing architectural lighting systems and the creation of 9 new architectural lighting projects. It includes the lighting of two of the principal nocturnal routes through the city, 1100 meters and 700 meters long, that meet in the very center of the town. 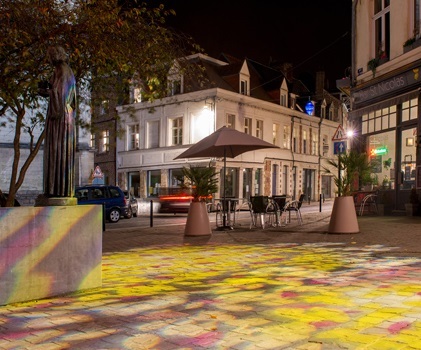 The interactivity of city lights with inhabitants inspires people to walk in the city at night, to once again discover the magnificence of their architectural heritage. The lighting design was executed by French lighting studio CONCEPTO. The project is part of the urban masterplan that started in 2005 and is a cultural component of the entire Baia Mare city center reconstruction in north-western Romania. The purpose of this project was to restore the memory of the most important city monument – St. Stephen’s Church – related to the birth of the city. The lighting provides an ambient lighting atmosphere that highlights buildings, trees, major city routes and emphasizes the main landmarks of the city: St.Stephen’s Tower, the ruins of St. Stephen’s Church and of the two other churches that were discovered, the Church of Saint Catherine and the Saint Martin Church. The lighting design was created by Mitru Ildiko, chief architect for the project. 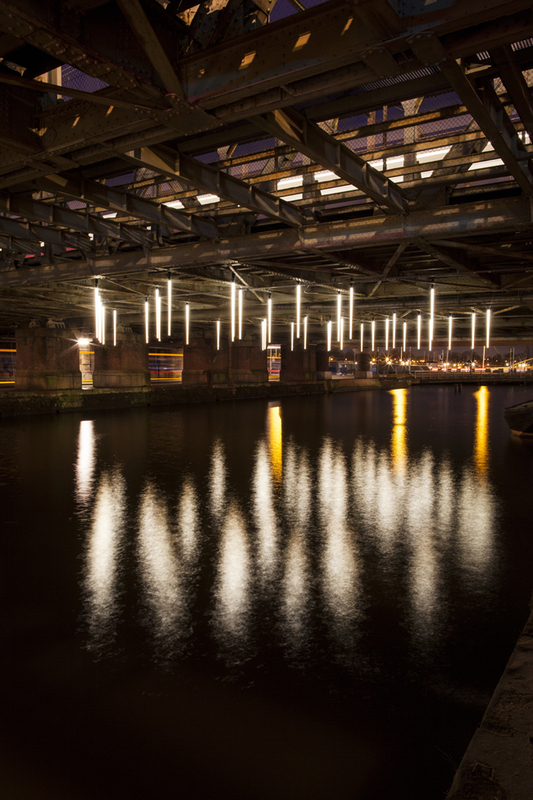 A dodgy passing under a railway bridge “Hang in there”, Amsterdam, The Netherlands The design is based on a composition of 36 beams of light positioned above the water upon an old railway bridge next to Amsterdam’s central train station. 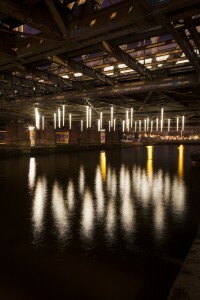 The beams light up and fade away randomly and create a mesmerizing spectacle of light and reflection, making the underpass a more attractive place to pass through. The poorly lit underpass with the ground shaking noise of trains passing overhead has become an important route for buses, trams, bike riders, cars and pedestrians (both locals and tourists) due to its position connecting the old historic city on one side with the new urban developments on the harbor front on the other side. The lighting design was developed by Jasper Klinkhamer and Matthijs ten Berge. The Treasure Hill community is located in the Gonguan district of Taipei by the Xindian River, an important lifeline for the village. The community used to have extensive urban farms between the settlement and the river. The lighting concept emphasizes the former practice of urban farming in this area to redefine the borders between nature and urban life. The lighting design was developed by Ivan Juarez from x-studio. This fortress was a military construction conceived as a defense bastion, which later became a prison, and finally a damaged ruin. Since its reconstruction, it is now a well visited complex open to the public. 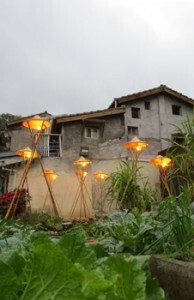 The lighting design enables interesting nocturnal displays at nights. The lighting design was done by Javier Górriz from DCI Design study and lighting consultancy.